Founded in 1993, Pontus Lindberg & Co Attorneys at Law Ltd is a traditional law office in Turku that provides high-quality legal services to both business clients and private individuals. Our attorneys handle your assignments reliably, efficiently and with expertise in Finland and abroad. The realisation of your legal interest is our key value. 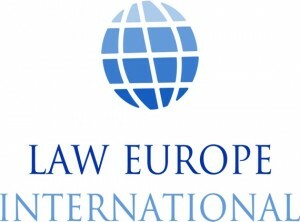 Since 1997 our law office is a member of Law Europe International, a multi-national network of independent law firms with some 900 lawyers worldwide. Through our extensive co-operation and contact network we shall see that your interest is secured in both domestic and international assignments. Our staff assists you in English, Finnish and Swedish. Our law office is a member of the Finnish Bar Association. We follow high professional ethics and the rules and regulations of the Finnish Bar Association in all our operations.